To me, the Polsilver Super Iridium and Iridium Super Wizamet shave just about the same (these have been my blades for years). Between the two I go with the Polsilver Super Iridium not because I feel its better blade but every once in a while I get a bad bade with the Iridiium Super Wizamet, the same happens with Polsilver Wizamet. If that once in a while bad blade did not occur (1 out of 75 very minor issue, but it stills stays with me) then I these 2 blades to me are the cat's meow. I shave daily never use a blade more than 4 times. My DE razors are Gillette Single Ring (Old Type) Ball End thin head with a stork handle and a CG L3 SB. Love the smoothness and sharp edge of the Polsilver Super Iridium and Iridium Super Wizamet with these razors. Currently gillette platinum. Might be something else in future. Biased to a local product as it's cheaper for me to buy compare to it's international prices - Gillette super platinum black blade. 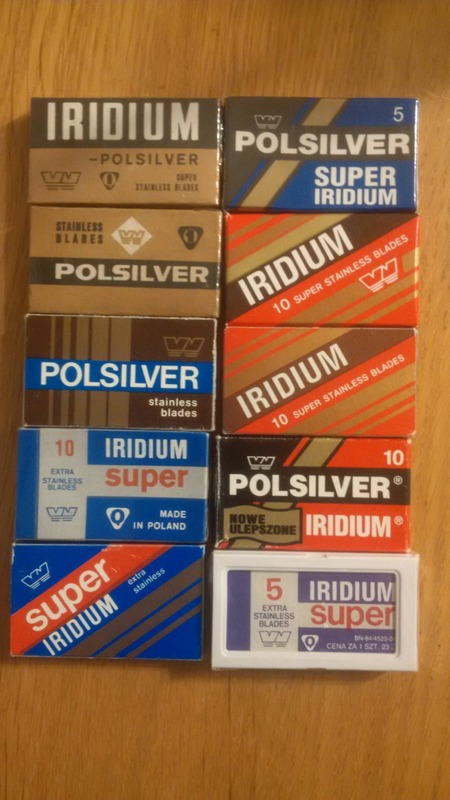 Polsilver Super Iridiums! Found them and haven't looked back.